At the crest of Mount Veeder, a sinuous appellation that clings to the Mayacamas Mountains' southern reaches, rests Mayacamas Vineyards – as it has for over a century. 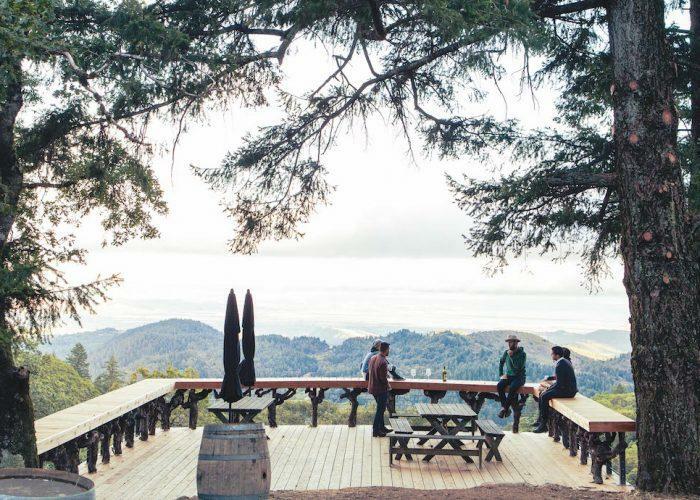 Here, at 2,400 feet, above the din of Napa's valley floor, fifty acres of vines quietly speak to both an unshakeable past and a fortitude for the future. Their fruit find its voice in a stone cellar built in 1889, and, when bottled, it shares with us a story of humility and commitment – unadorned, with concentration, elegance, and balance. Next came Robert Travers, under whose stewardship Mayacamas found the voice it shares in present day. The son of a farming family, Travers wavered from a trajectory in engineering and finance, and, bolstered by his studies in wine, turned to Joe Heitz for a single harvest. After a year with Heitz, and the ongoing mentorship of André Tchelistcheff, Travers, only thirty, purchased Mayacamas from the Taylors. The estate's winemaker, Bob Sessions – who would later, to legendary acclaim, become synonymous with Hanzell – remained by Travers's side until 1971.